Based on your suggestions we’ve gathered all background and transition objects in one library. This makes browsing these objects a lot easier! 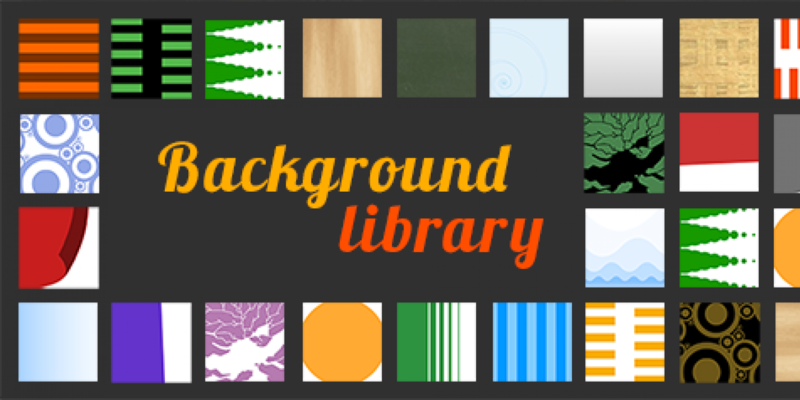 The Background library is free for everyone and already contains over 50 objects and animated transitions in different styles. The library will continue to grow over time, as we’ll add new backgrounds, new transitions, and animations. How to use the background library objects? These objects can be treated just like any other object in the Moovly Editor: you just drag them to the Stage, change their duration, and add all standard animations to them. Some of the objects even contain extra options: You can change their color or transparency in the Properties panel or apply special animations to them (this is the case for all the animated transitions that are part of the new Library). Of course you can also use the Stage color as the background for your video and combine this color with e.g. geometric objects to customize it or to add a subtle movement your video. But, if you want to switch the background color of your video a couple of times, the background objects will definitely come in handy! How to create transitions in Moovly? Some of the transition objects contain specific animations. These animations won’t play immediately after you drag the object in question to the Stage: you’ll need to activate the animation on the Timeline, just as you would for any other Moovly object. The specific animations can be used to have the transition object appear or disappear. To have the object appear on top of the content that is part of the scene you’re working on, drag the transition object all the way to the top of the Timeline. Or right-click it and select “bring to front”. You can use the same transition object as the background of the next scene by placing it at the bottom of the Timeline during that scene. Have the object disappear by adding a second animation to it, or by placing another transition object on top of it. Tip: If you upload your own background images you can best add the word “background” to the title of the image before saving it to your Personal Library. This way your image will also show up next to the Moovly library objects when you search the Moovly Libraries for backgrounds. Not a Moovly member yet? Sign up for free to get access to the new Library.